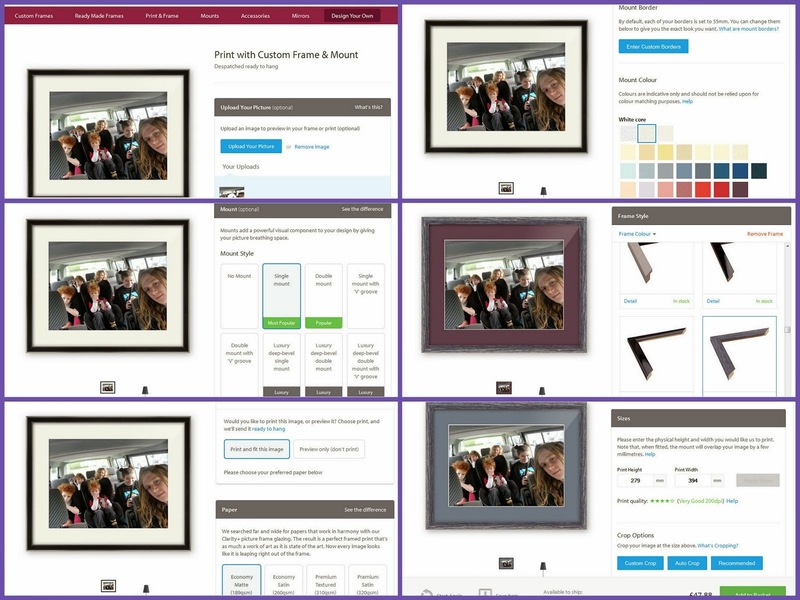 I was asked if I'd like to review eFrame, an online service who can supply frames in any size or style that suits, custom designed or ready made. 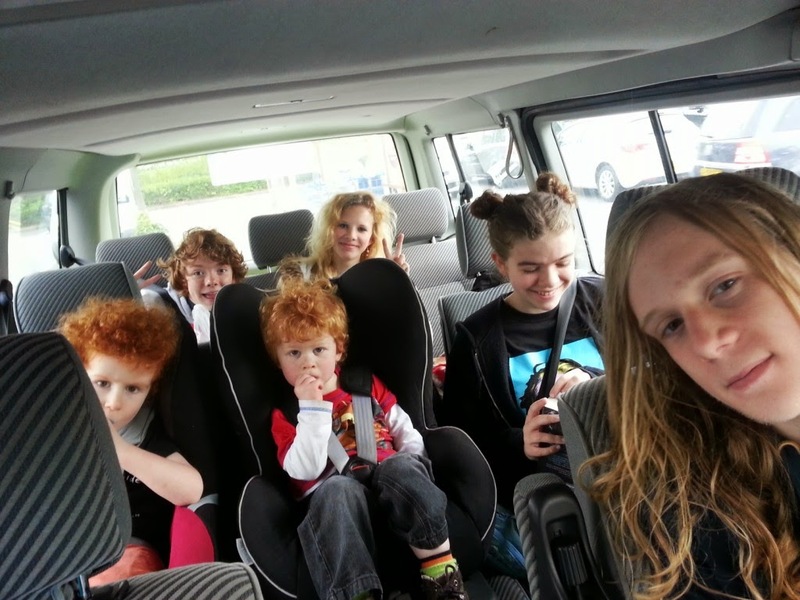 I chose one of my favourite photos of 6 of our children on the way to preview SeaLife, Manchester, back in May 2013. It's not beautifully lit, it's not even properly in focus, but it was a great day out and a rare photo of most of the older ones together. 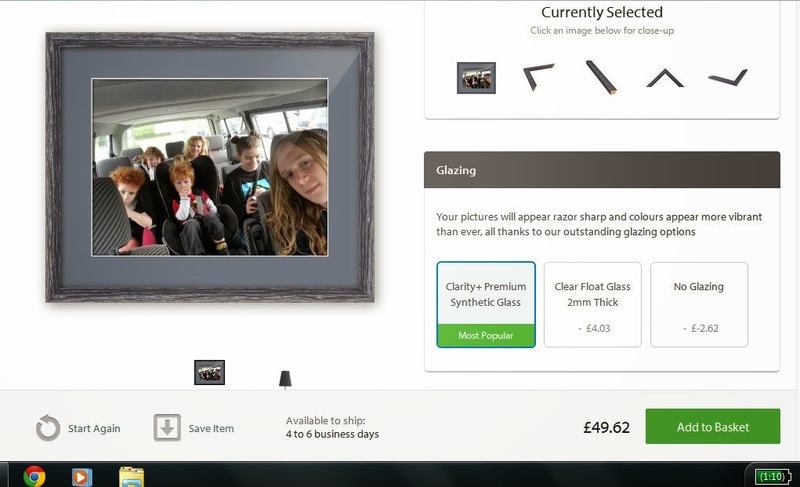 The website was super-easy to use, even though I haven't ever ordered a frame online. All of the options are on one scrollable page, and as you go down you see examples and explanations for everything, and your preview image is there throughout, so any adjustments you make are shown instantly. You can also always see a running total and delivery availability for anything you choose, plus your selections. You can choose different options for paper, size, mount, framing and glazing, and in fact there are over 600 frame styles to choose from. It was incredibly intuitive and easy and only took around 15 minutes despite my changing almost every option. 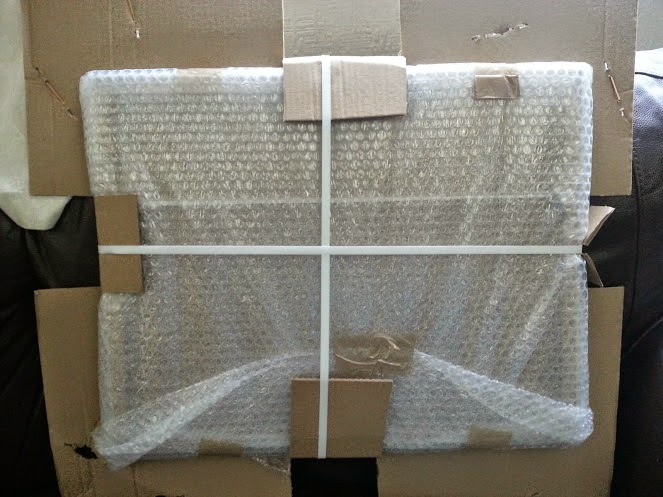 I actually thought that despite the appearance, eFRAME's clever packaging might have protected my picture. I could see it nestled in the middle of the over-sized box stapled to card. Sadly not. The trolley wheel is about the same weight as a hammer, and had gone through the glass. My picture did not survive. I contacted eFRAME immediately, who put my mind at ease straightaway..
"I have arranged for a replacement order to be raised for you and despatched as a matter of urgency and we will also be raising a claim with our courier at our end, as we do not like any of customers to be unhappy with the service they have received from eFRAME including our courier service." 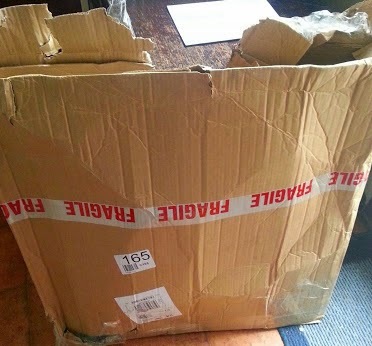 Sure enough, only 5 days later my replacement order arrived - in perfect condition. 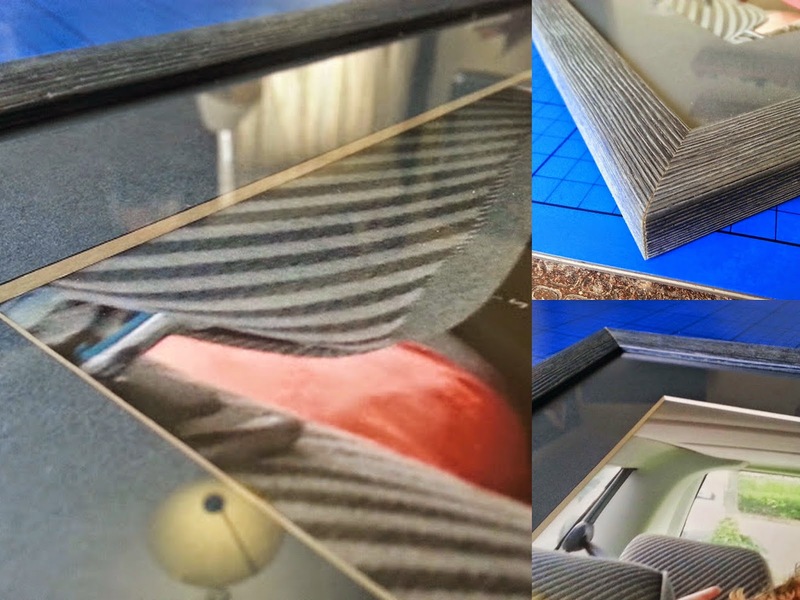 In the end I had cropped my photo and chosen a blue/grey mount, with pine frame in similar colour with the grain showing through. I'm really pleased with how it has turned out. The colours are very true to the colours I chose on screen, and it's very well produced. The photograph is as clear as my original, with no loss of colour or sharpness. The frame corners are very neat, with no tearing to the wood, and good close joints. The mount is beautifully cut with perfect corners. To the rear the picture arrived strung and ready to hang, and the ends of the string are taped to prevent fraying. 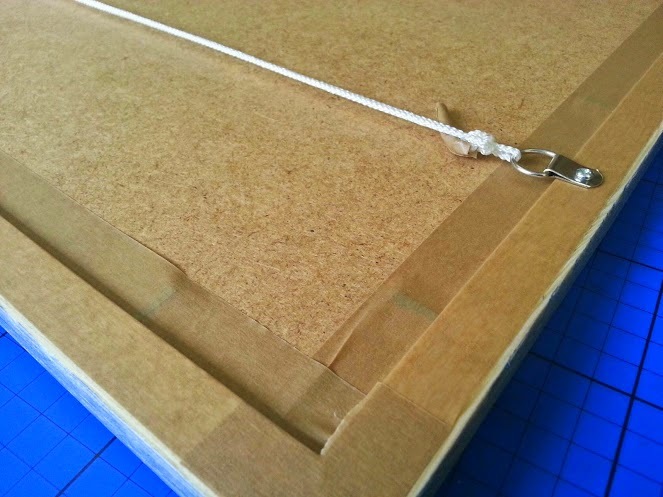 The string is very securely screwed to the frame. It's a nice tidy job. I feel that when you are going to be spending a fair amount of money on something, you really need to be able to trust that it won't disappoint. Using eFRAME was frustration-free and the end result is exactly as I'd hope. My picture cost £56.69 including delivery, and in total measures over 40 x 50cm. Obviously price varies considerably depending on size and all of the different options you can choose. 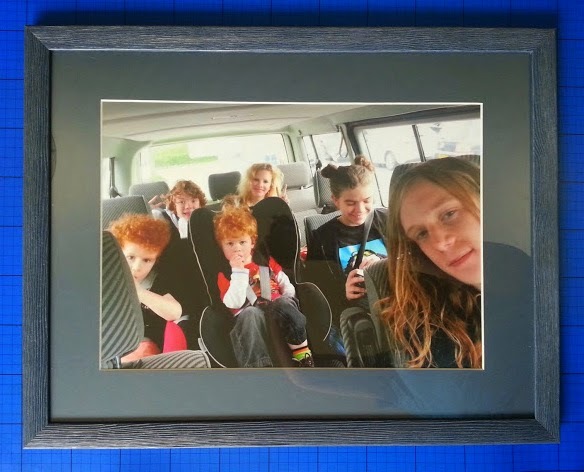 I used the new Print And Frame service and I would recommend it to anyone who is looking to frame a special photograph or picture. If your picture or photograph is a standard size, then you can also choose from over 1000 different ready-made frames at discounted prices starting at less than £3 each (10x15cm). We were given a discount on our order so that we could review. 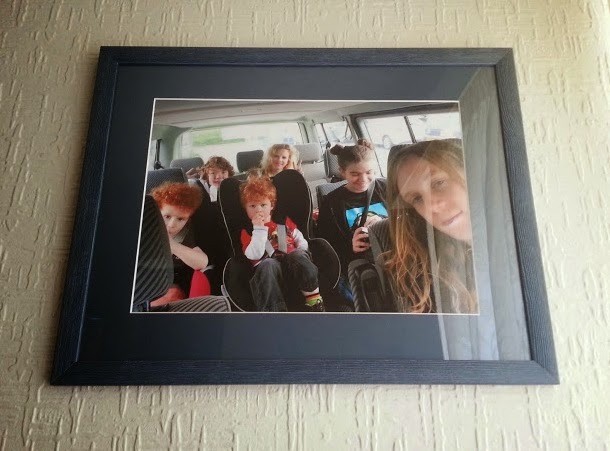 Really nice picture and I love the colour of the frame and mount you chose - it works perfectly! I love the frame it really sets off your picture nicely. What great customer service too! I love that photo of you. It tells the beginning of a story. These are the kind of pictures I want in my house too. It is a great photo and the frame does it justice! (Glad you were sorted out so quickly too regarding the stray trolley wheel).